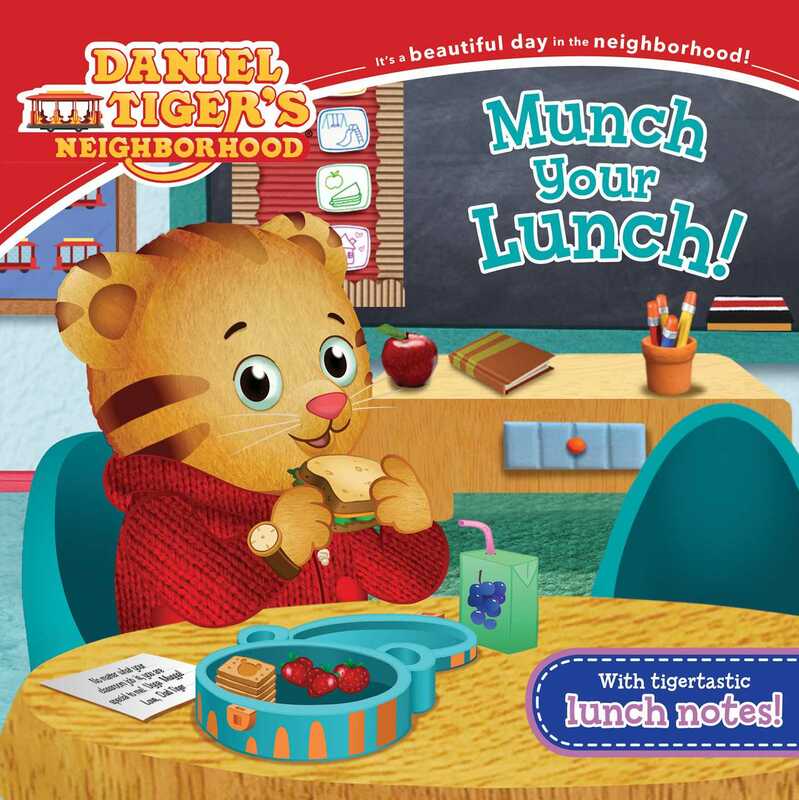 Daniel Tiger is the lunch helper at school and gets a sweet surprise from Mom Tiger in this 8x8 storybook based on an episode of Daniel Tiger’s Neighborhood that comes with tiger-tastic lunch notes to pack in your little one’s lunchbox! It’s lunchtime at Daniel Tiger’s school. Teacher Harriet tells everyone to take a deep breath and open their lunch boxes. Daniel Tiger’s lunch box has a sandwich, strawberries, and a special surprise: A note from Mom Tiger! With the Daniel Tiger lunch notes included in this 8x8 storybook, parents and guardians can add special messages in their little one’s lunchboxes to show how much they care! Book Cover Image (jpg): Munch Your Lunch!